Yesterday, I had the opportunity to create my own perfume! SO MUCH FUN!!! This was one of the coolest things I have done, thank you Stacy Lill and Shelly Tomberg for including me in this memorable day!! 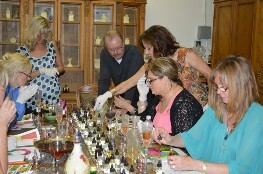 Thank you to La Comedie des Parfums, based here in Seattle and the only place like it in the US for hosting us gals! Thank you Bill for sending that along and again for such a wonderful afternoon – what an experience! What an unexpected treat to have this re-cap.. I have been trying to explain to the girls at Pelage what and how the event went. This is perfect .. I will be forwarding this on .. Thanks to all. 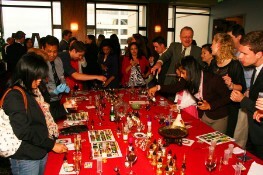 Best wishes for Thursday (the day of perfume test).. the maceration will be complete. I know they all felt it was beyond fun and one of the most memorable days they have had in a long while.